Jenell Wright, co-founder of www.coldwatercreekfacts.com and the Coldwater Creek-Just the Facts Facebook group, is a North County native (with statistical professional background as a CPA auditor) who noted along with friends unusual and unexpected amounts of fellow Coldwater Creek community members battling cancers, autoimmune diseases, infertility, and offspring with serious illnesses and disorders. Jenell created maps of Coldwater Creek self-reported diseases which have been used to pressure the Army Corps of Engineers’ FUSRAP personnel to increase radioactive nuclear weapons waste testing and remediation in Coldwater Creek residential areas, and Jenell together with the Coldwater Creek Facts leadership team are collaborating with the CDC/ATSDR (Agency for Toxic Substances and Disease Registry), MODHSS (Missouri Department of Health and Senior Services), and St. Louis County Department of Public Health in a formal ATSDR Public Health Assessment (http://www.atsdr.cdc.gov/sites/coldwater_creek/). 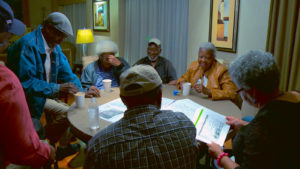 The Coldwater Creek Facts leadership team goals include educating the community, educating healthcare professionals, and community inclusion in the Radiation Exposure Compensation Act (RECA) http://www.justice.gov/civil/common/reca. Dawn Chapman is a mother of three special needs children and co-founder of Just Moms STL, to fight for environmental justice and downwinder status. Just Moms wants the complete removal of radiation from the West Lake landfill and for the EPA to take responsibility and buy out families that live one mile from the perimeter of the landfill. 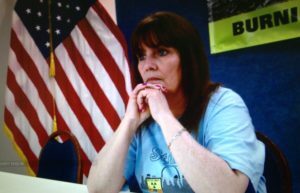 Dawn wants to see a safe and permanent clean up of radiation from the West Lake Landfill. Karen Nickel is a wife, mother and grandmother doing everything she can to protect her children and community from radioactive waste. She is the founder of the the West Lake Landfill Facebook group, and Co-founder of Just Moms STL. 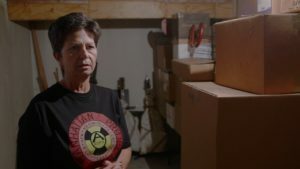 Karen grew up exposed to the radioactive Coldwater Creek site, and for the past twenty years, she has lived 1.8 miles away from the West Lake – Bridgeton Landfill Superfund Site. For Karen, working with Just Moms is what “SHE HAS TO BE” doing to protect her family and future generations. The West Lake landfill was an operating limestone quarry from 1939 until the early 1950’s when it became a landfill for industrial and municipal waste. Laborers, drivers, ‘powder’ men, etc., were hired by the landfill back in the 1960s. At the time of these mens’ employment, there was no rigorous oversight that monitored what toxins got dumped into the landfill. Part of these workers’ jobs were to dump out the toxic contents from barrels and mix them with clean-fill soil. The men were unaware of what chemicals they were exposed to or how harmful the contents were. They are the only known eyewitnesses to what was dumped at the landfill when the radioactive waste was being brought in. Michelle Seger is a mother of three, who was raised adjacent to Coldwater Creek. She is 44 years old and is suffering from rare Non-small lung cancer, with a rare ALK mutation attributed to environmental exposure. She is participating in clinical trials to stay alive, all the while retaining her wicked sense of humor. Recently, she was told that she is now Stage 4. Michelle believes that her illness was caused by childhood exposure to Coldwater Creek. Robbin Dailey is a St. Louis native and never heard of a Superfund site, nor was she ever aware of the historic role that St. Louis played in the enrichment of uranium for the Manhattan Project. In 1999, Robbin and her husband Mike moved to Spanish Village in Bridgeton, Missouri. They were both unaware of the illegal dumping of legacy radioactive waste into the West Lake Landfill which is a half-mile from their home. Copyright © 2019 Subsurface Smoldering Event, LLC. All rights reserved. Contact information. Site designed by Neon Sky.